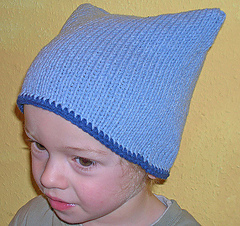 Simple pattern to make a cute baby hat with a rolled brim. 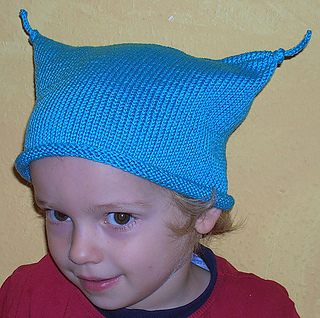 An easy knit if you know how to knit in the round. The optional three needle bind off is explained, as is how to make icords for the ties at the top.